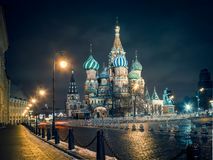 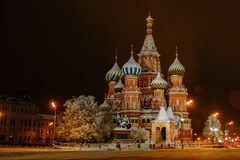 Saint Basils Cathedral in Moscow in winter. 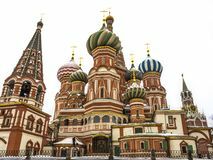 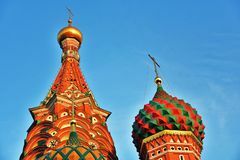 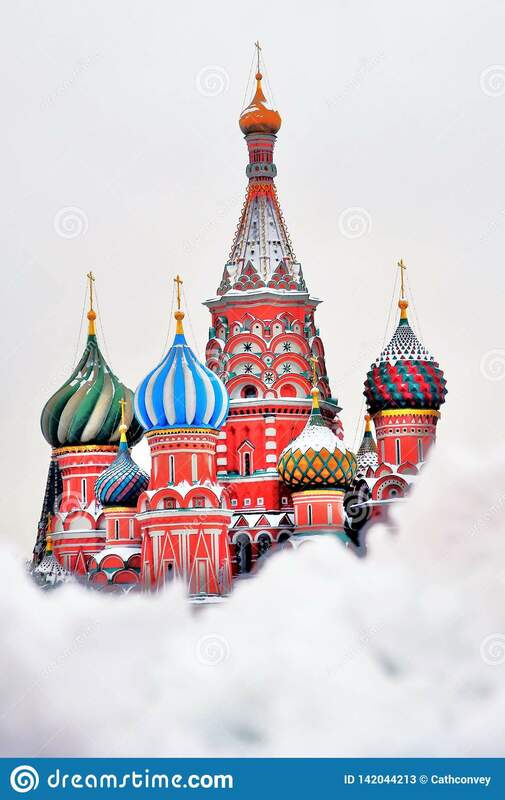 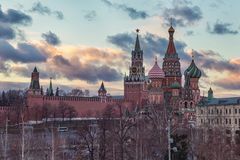 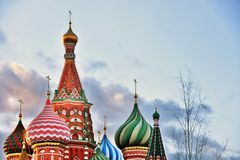 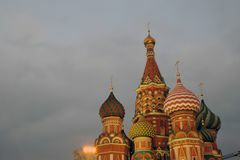 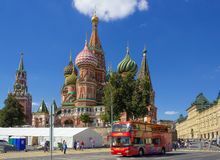 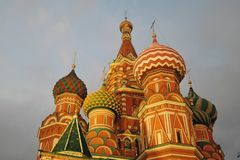 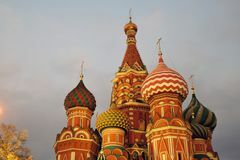 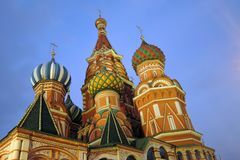 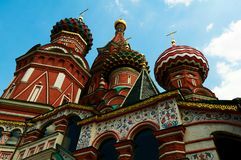 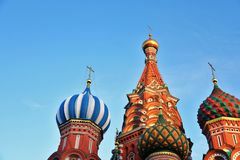 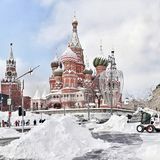 Saint Basils Cathedral on the Red Square in Moscow seen throught the snow hill. 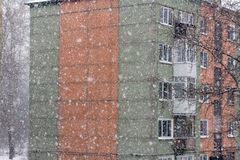 Color winter photo.